Every week, I perform a free Adwords audit to help a small business in Perth. Today I’m helping a dentist called Simple Teeth. This review is based on the keyword “dentist perth”, performed on 9 September 2017. How can Simple Teeth improve their Adwords campaigns? What’s the Objective of the Ad? The first thing to review is whether the objective of Simple Teeth’s ad is clear. In the case of a dentist, I would say their main objective should be to ask their visitors to call and book an appointment. In the case of Simple Teeth, their ad does mention the call to action Book Now in the description of the ad. This is a good start but I think they can improve their ad by saying call now in the headline of the ad. Simple Teeth’s landing age is good – there are two call to actions on the top right hand side of the landing page – Book Online and Click to Call with a clickable phone number. Also above the fold they have a button saying book an appointment now and make an enquiry. 1) I think they main improvement Simple Teeth can make is in the ad itself. I think the call to action can be stronger and I think they should include their phone number in the ad. The next thing to review is whether Simple Teeth’s ads have been written effectively. Based on the above I believe Simple Teeth can make their ads more relevant and include more benefits in their copy. Is the Landing Page Optimised? 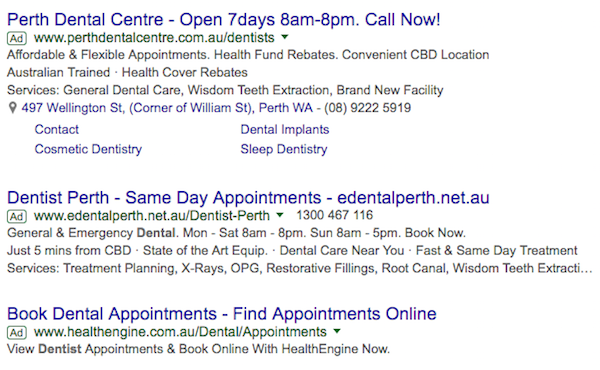 Based on the above Simple Teeth should update their landing page to include the keyword Dentist Perth in their meta description, H1 and body copy. 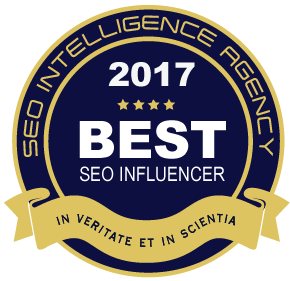 This will help their SEO for this keyword as well. I hope you’ve found this free Adwords audit insightful. Check out my Google Adwords Advertising For Small Business. BREAKING Adwords News, Ads Killing The Web?